I do. This is my least favorite book because he dies. But the rest of the book was great! I so agree. I was so devastated when he died. He was my favorite cat in that series. He was also one of the main characters. Why did he have to die?! Also, this was the first ever book I cried in out of ANY book I have read. I couldn’t help it. Yes,they were based off of British forests. I saw in a YouTube video that it was British because they have British wildlife(badgers,foxes etc. )rather than North American wildlife(wolves,elk etc.). Also,they followed the setting sun. The sun sets in the West. If you go West from Europe, you would come to the Atlantic Ocean. Apologies for the necro if this counts as it, since the last comment was in March. Anyways I just finished reading this book late last night (After the fireworks had ended because no way was I reading this through that racket lol)… needless to say, I wailed like a fricking kit, so much my own sister had to come in and ask me what the heck I was crying over. Where is Kate, I outta applaud her for writing such a heartbreaking final chapter to the book. Gosh I’ve grown to love Gray Wing so much he was like a fricking son to me, and then when the moment he has a family and can finally be happy comes around all of a sudden his asthma takes him. Good lordy that’s so evil to do. Either way BEST death scene in the Warriors series ever imo, it was beautiful, well written, and super emotional. I’m not sure I can even get the courage to reread the book because the ending reduces me to such a sobbing mess. This series is by far my favorite as it was the most emotional and action packed adventure story ever i am a guy who cried because i felt so connected to him. 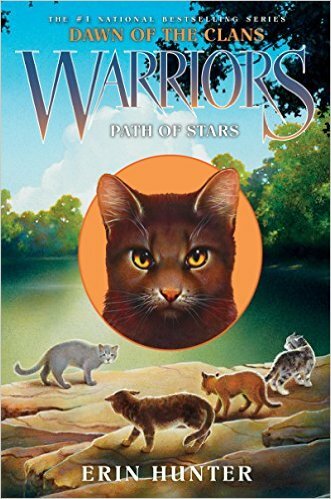 He lives on in me and with Starclan. Also i am making a fanfiction (doesnt sound so cool right.) this takes place way later in the future of the clans and is going to be sad but i hope i do it right. if anyone wants to read it let me know so i can try to send an email or something.